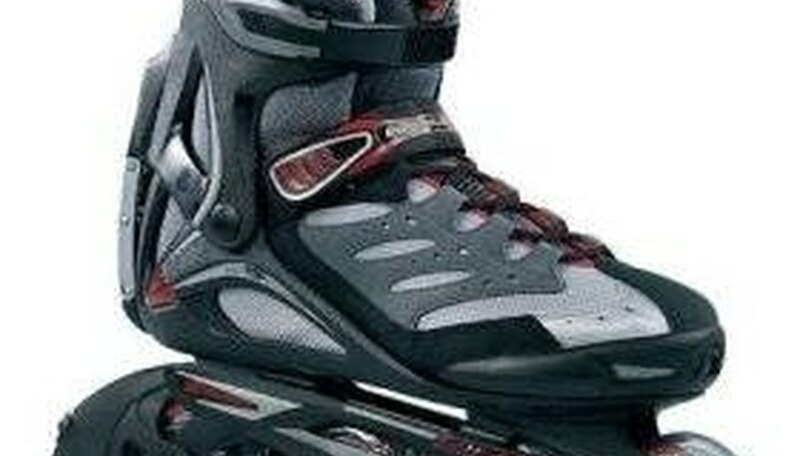 Motorized Rollerblades are becoming increasingly popular across the globe. They started out entirely for sport, but with the alternative-energy movement, many people are using them to make their daily commutes. Typical powered inline skates can move up to 20 mph and have a range of 15 to 20 miles. If you run out of power, you still have a usable pair of skates. Commercial motorized Rollerblades cost hundreds of dollars, but with some basic equipment and a few hours to spare, you can make your own lightweight version. For simplicity's sake, only one wheel on the skates will be battery powered. Select your motor. A small, high-torque DC project motor, such as a gear motor, is perfect for this application. While higher-wattage motors will allow you to move faster, they also use more power. A fixed-magnet motor will work in reverse to charge your batteries when you coast, much like the way a hybrid vehicle's regenerative braking works. Motors come in all sorts of voltage ratings. Opting to get a motor with a standard voltage, such as 6v, 12v or 24v, will make battery compatibility much easier. Find the smallest motor that meets your voltage and wattage requirements. Pick your batteries. Deep cycle is the only option--traditional batteries will not stand up to the repetitive, deep discharge they will be subjected to on a regular basis. The higher the amp-hour rating, the more power the battery will be able to hold. The total voltage output of the batteries needs to match the voltage rating of the motor. For example, a 12-volt motor could be powered by one 12-volt battery or by two 6-volt batteries. For small, deep-cycle batteries that fit comfortably in a backpack, consider golf-cart batteries. They are small and inexpensive and most have a high amp-hour rating. Mount the motor to either one of the Rollerblades. Hook the motor to the very front wheel, as it will generally have the most open area around it. Ensure that your mounting location does not interfere with the braking system. Various brands of inline skates will require different mounting solutions, but one method that works on most is to attach a gear to the side of the wheel and connect it either directly, or via a chain, to a gear of the exact size at the motor's output shaft. Ensure the motor is fastened securely to the body of the Rollerblade to prevent it from moving under power. Secure the batteries in the backpack. You may opt to leave it unzipped slightly for ventilation purposes. Run your wiring from the motor, up your leg and into the backpack, making sure the wire doesn't limit your range of motion. Connect the motor controller, which allows you to control your speed, between the battery and the motor. You may opt for a simple on/off switch instead of a controller, but if your motor is somewhat powerful, this could result in you falling over backward if you don't get up to speed before engaging the system. Charge your batteries using an external battery charger and take your contraption out for a spin. You will probably have to adjust the gearing to get more speed or power out of your drive train. To increase your top speed, make the gear on the motor larger than the one on the wheel; for more power, do the opposite. Consider using multiple batteries in a parallel wiring configuration to extend your range. You can use a motor on each Rollerblade for more power, but it will add weight and consume more power. Always wear a helmet, and avoid going too fast. Make sure the wiring from the batteries to the motor won't get tangled in the wheels.